David Green, the president of United Automobile Workers Local 1112 in Ohio, is taking unique flak from way on high. 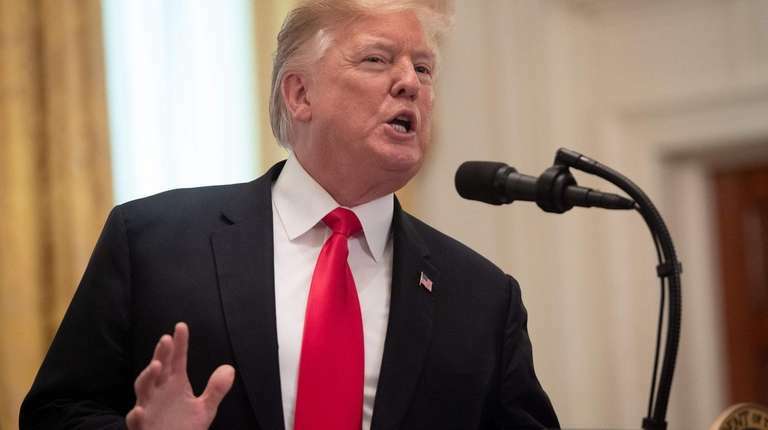 President Donald Trump complains Green failed to help when General Motors idled its sprawling Lordstown, Ohio, plant. Trump promised residents in nearby Youngstown that lost jobs would return. But the GM plant shuttered March 6, with 5,400 jobs disappearing. From his Twitter account Sunday and Monday, Trump pointed fingers at Green and GM's CEO, Mary Barra. Green, he tweeted, "ought to get his act together and produce. G.M. let our Country down, but other much better car companies are coming into the U.S. in droves." But as is often the case, several basic factual claims in Trump's rants on this proved untrue. Regarding Trump's earlier pledges, Green told Fox News: "The fact that we’ve seen our Kmart distribution center in Warren close, a hospital close out here, all these brick and mortar businesses are closing, and now unallocated status at GM Lordstown ... people are starting to wake up." Green said he got no response when he sent letters begging Trump to help avert the closure. GM said in its own statement: "To be clear, under the terms of the UAW-GM National Agreement, the ultimate future of the unallocated plants will be resolved between GM and the UAW." Trump did this before with a steelworkers' union leader at Carrier's Indianapolis plant. Nobody ever guessed that it could become a long-running routine for a president's leading surrogate to engage in battles with her spouse over her boss. But the point-counterpoint between Kellyanne and George Conway has reached a new plateau. Regarding Trump, attorney George Conway posted the medical definitions of narcissistic personality disorder and anti-social personality disorder from the "Diagnostic and Statistical Manual of Mental Disorders." "*All* Americans should be thinking seriously *now* about Trump's mental condition and psychological state, including and especially the media, Congress — and the Vice President and Cabinet," he wrote, adding: "His condition is getting worse." Trump spokeswoman Kellyanne Conway told reporters Monday: "No, I don't share those concerns." The inaction involving Trump's border wall grinds on into his third year in office. As the 2020 campaign gears up, nobody can say precisely where, when and how it will get built, or how it will be designed or defined. The idea is not even popular outside his core following. But the president keeps demanding it, even now that a claimed "emergency" rationale is mocked by delay. Could it be that he finds displaying his commitment to the project, and the drama surrounding it, more valuable than the actual prospect of success? Here's why one might wonder. Since that surfaced, Trump's words in response to the horror have been weighed closely for what he said and didn't say. Newsday's Laura Figueroa Hernandez describes how the president is attempting to point the finger away from his shyness about blasting white nationalism. "The Fake News Media is working overtime to blame me for the horrible attack in New Zealand,” Trump tweeted. “They will have to work very hard to prove that one. So Ridiculous!" He didn't specify who or what he was talking about. Federal prosecutors and officials in Trump's Department of Transportation are looking at how Boeing's 737 Max jetliners were developed — while Federal Aviation Administration safety approvals of the plane are drawing special scrutiny, The Wall Street Journal reports. The Journal states: "A grand jury in Washington, D.C., issued a broad subpoena dated March 11 to at least one person involved in the 737 MAX’s development, seeking related documents, including correspondence, emails and other messages." How this might fit with the review of the FAA — by the Transportation Department's inspector general — is unclear. Recovered data from the latest fatal 737 Max crash in Ethiopia is reported to be similar to that of a prior disaster in Indonesia. Beto O'Rourke netted an eye-popping $6.1 million in the first 24 hours of his campaign. 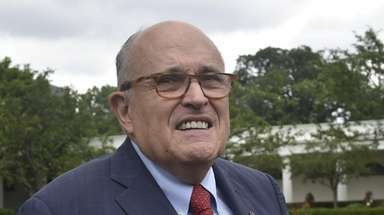 U.S. District Judge William Pauley gave prosecutors until Tuesday to file redacted copies of documents requested by news organizations related to raids on ex-Trump lawyer Michael Cohen's home, office and hotel room. A Kansas state employee called Trump a "delusional communist" — on a government website. Even with Trump's approval ratings low, more than 7 in 10 Americans say the economy is "very" or "somewhat" good, says a CNN poll. Democrats in Congress are asking the FBI to investigate Florida massage parlor operator Li “Cindy” Yang given her reported access to Trump. Democratic divisions were displayed at a meeting that had been intended to ease tensions between Muslim and Jewish Democrats. Former President George W. Bush called immigration a "blessing and a strength" for the U.S.